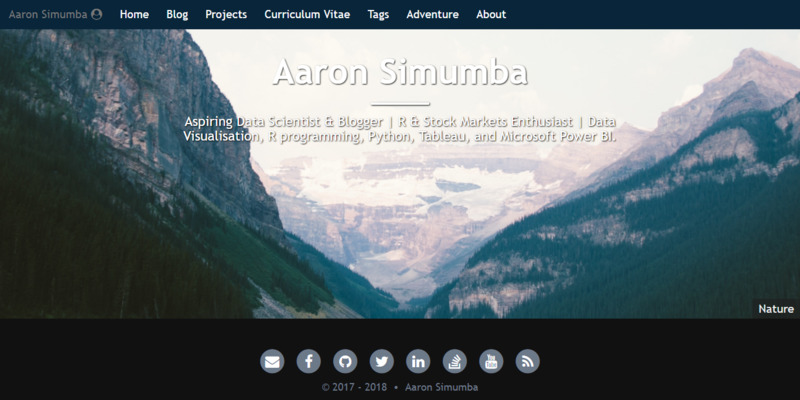 Hi, my name is Aaron Simumba, and you can find my website on the following URL: https://asimumba.rbind.io/. And on Github, plus you can follow me on Twitter. A brief background about myself: I often like to refer to myself as a “Lost Accountant” - because professionally I trained as an accountant, who lost his way to practise accounting and ended up into the data science space. I was excited to be in finance and accounting, I loved all the glory that came with working with financial data. But at heart, I loved computers and statistics. Statistics was probably one of my favourite courses at university. If there is one thing I got out of the accounting degree was that: “Debits should equal credits and vice versa”; and this has been my motivation to try to always find a reconciliation point for all I do. I have always had a knack to express my thoughts. Previously I blogged with blogger and Wordpress. Mostly I blogged about random stuff that today I am ashamed to re-read. But that provided a very good foundation for harnessing my interest in blogging. During my final undergraduate year, I so looked forward to finishing and venture into other interesting life persuasions. But that was one half of finishing all the university business - the other half involved writing my final year thesis. I was happy to finally get on with challenging my thought process. Unfortunately this enthusiasm was short lived. SPSS was in my way! I hated the work process of analysis in SPSS, and then copy the output to Microsoft word. Oh lord! cant there be something better? At the end of the day I went on with this process until the bitter end. Post university, I started looking for a better analysis environment, luckily I stumbled on R and all the tools in its ecosystem. And as you can guess I have not looked back. Been using R and its tools for now 1 year 7 months. If I’m to describe the experience, I would say, it’s been fun and challenging. With plenty of promises for the future. If there is one thing hard to be satisfied with is the visual aesthetics of the website. I first created my blogdown powered website in 2017 right around July. But between then and now, I have changed a minimum four website themes. This was mainly due the fact I had zero knowledge of HTML, let alone CSS. I took each theme as it came and simply replaced template filled sections with my own details. This left a hole which needed to be filled. I wanted to have control over even the most miniature website aspect. Fast forward, I crashed HTML and CSS courses to try and learn enough skills to be dangerous, of course in a minimal way. 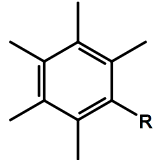 I want to thank Yihui Xie, from whom I have learnt a lot. His blog has great material to both his tools and his take on other open source software. Of course don’t forget to read the blogdown book. My website is built on the hugo, github, netlify and blogdown platform. 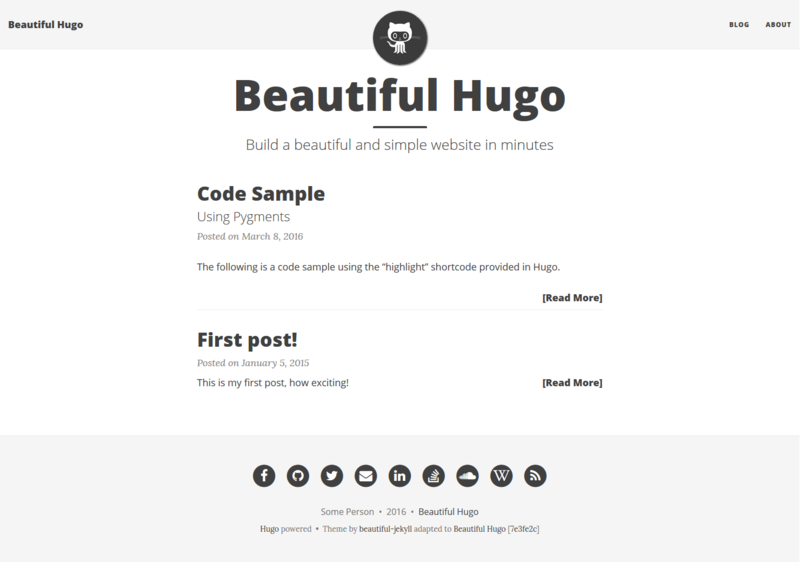 I am using the Beautiful Hugo theme. I like this theme for the following reasons: natively it comes with support for syntax highlighting, mathjax, a big image cover for the landing page and photoswipe, embedding a gallery of images is something I wanted. The theme has quite a clean design, which you can get started with a new website in minutes. Minimalistic design if you decide to strip out the images. Looking at the amount of work I did to achieve the visual effects as seen below. I must say I’m pleased and happy to call this a personal website! I broke and repositioned a lot of the native features to achieve the design as seen above. I let go of the avatar container on the navigation bar, re-aligned the navbar links to the right from their original left hand position. Added font awesome icons to some links. 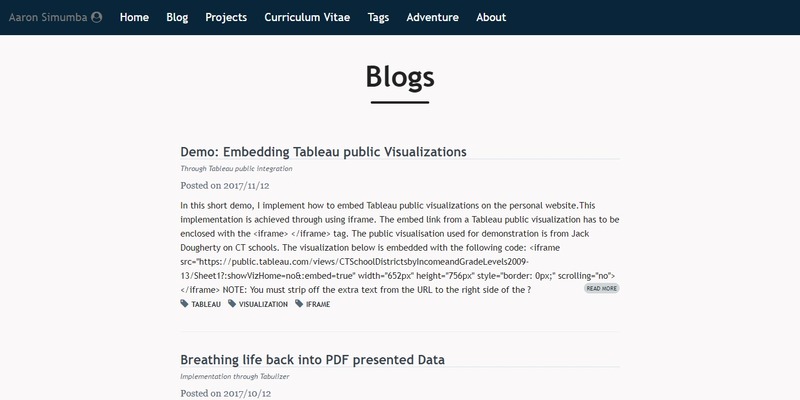 For the landing page, I moved posts preview to the blog tab. And in addition, adjusted the big image of the landing page to cover the whole page. Resized the footer to accommodate the big front image. I love the post preview from the blog section. It gives a brief section to preview the content before delving fully into the post. From the original theme structure, this is presented on the front page if you use /content/post/ structure. To avoid this, I changed it to /content/blog/. All my posts reside in the /blog subdirectory. I cannot document all the small but significant changes I made. The best option would be to fork the site and have a look at the changes made. For the source to my website, you can find it here.